Welcome to another Home Flooring Pros How-To post. 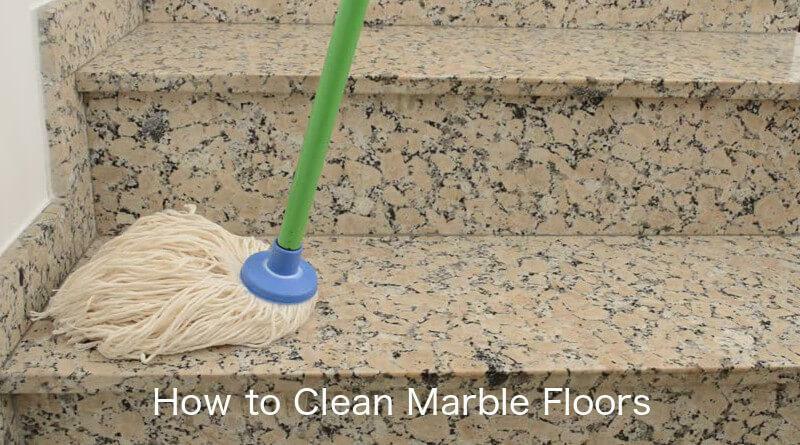 This week we’re going to look at the best way to clean marble flooring. Marble floor cleaning is a specific process, a little different to cleaning other types of tile flooring, but not difficult with the right tools and care. So for the best step by step marble tile floor cleaning tips read on. How do you clean marble floors? In a word, gently. Here are best practices for maintaining gorgeous floors. Preventative care is best. We recommend placing firm-bristled door mats outside each entrance. Wipe feet vigorously to remove dirt before walking on marble. Removing shoes is better yet. Pro tip: It’s not wise to place mats directly on marble. Some rubber backings interact chemically with stone and darken it. Secondly, if dirt gets beneath the mat, it will grind away at the marble surface when stepped on. Dirt and debris act like sandpaper on marble, scuffing and dulling the seal and surface. Bob Villa offers this tip: Sweep one time per week for each household member including pets. If you have a shoes-off policy and your pets aren’t heavy shedders, one time per two members will be sufficient. In short, sweep as needed to keep grit off the flooring. Tool of choice: A microfiber or wool sweeper / dust mop with washable head. We like the Big Wooly! Next level tool: The Dyson V6 is made for hard flooring. It has powerful suction to pull debris out of marble’s tiny pores. The V6 is a handheld vacuum, which gives you control for gentle use on delicate marble floors. Check Amazon for the best prices. When you’ve taken the first two steps, your marble floors will get dirty so slowly you won’t notice the incremental changes. But they will inevitably accumulate dirt, even in the tidiest homes. That’s why it is important to mop on a regular schedule, even if the flooring doesn’t look like it needs it. DIY tip: Be smart about your cleaner. Avoid harsh cleaners. Citrus cleaners are fine for greasy garage floors, but terrible for marble. We’ve seen sites recommend mild dish detergent on marble, ½ cup per bucket of water. Besides the endless suds that would create, it will leave behind a residue that will dull floors. To remove it, you would need to use more water than is good for marble. Tool of choice: O-Cedar Microfiber Cloth Mop. This highly rated, very gentle mop has a collapsible handle for compact storage. The head can be washed 100+ times. The O-Cedar Quick Wring 2.5-gallon bucket is designed for use with this and similar mops. Cleaner of choice: We recommend using a cleaning solution formulated for stone. The Granite Plus! 2 in 1 Cleaner & Sealer is easy to use. Spray it onto the marble, and use your microfiber mop to gently work it over the floor. No rinsing is required, and it shouldn’t leave behind streaks. Granite Plus! is available in a spray bottle and gallon refill too. You can skip the spray bottle in favor of the better-value gallon refill and your own spray bottle. The sealer in the product supports the factory seal. It doesn’t eliminate the need to periodically polish and reseal your marble floors with a penetrating sealer. Clean up spills immediately using a dry, absorbent cloth or paper towel. Then, spray your cleaner on the area, and wipe it dry. Overlooked sticky or gooey spots can be cleaned with Granite Plus! or similar product. Spray it on, wait 1-3 minutes to soften the mess, and wipe it away.